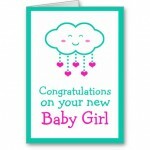 Congratulations to Ms. Naughton and husband Brian on the birth of their baby girl, Beth, at 12.05pm yesterday. Baby and mum are doing fine and we wish them the very best. Great news congrats to you both. Congratulations to you both. Wonderful news.